There are a few things in personal finance that I feel will actually change your life. 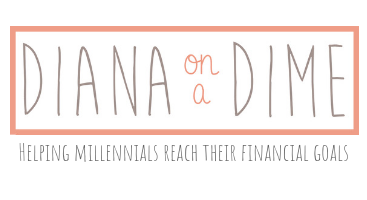 A budget, sinking funds, and an emergency fund, and I’m not being dramatic when I say this. If you utilize these three things, you’re financial world will be better because of it. If you’ve been using these 3 things for awhile, then you know what I’m talking about. When I learned about these three things and implemented them, it was amazing how stress free my financial life became. The reason why these 3 things make your finances so much less stressful is because it prepares you for expected and unexpected spending. You no longer will need to stress about money because you will have money earmarked for most things that come up. Here’s a breakdown of what these 3 things allow you to do with your finances. 1. A budget to change your finances. A budget is going to help you manage your cash flow, the money coming in and out of your account. This also allows you to plan for expenses you know are coming in a specific month. Personally, I use a zero based budget because it allows me to give a job to every single penny that comes into my account. By the end of the month, all income money has gone out to do something for me. This might be paying off debt, adding to my sinking funds, replenishing my emergency fund, or general monthly expenses. There are tons of ways to budget, you need to find a system that works for you and start tracking the money you have coming in and going out. This won’t happen over night, but just by being more aware of what money you have coming in and out, you will see changes pretty quickly. I encourage you to not put yourself on a strict budget, but to instead just track your expenses and see where your money is actually going. Once you see some of your trends, make a change in the place that makes you most annoyed. For me, I was most annoyed at how much I was spending on convenient stops for food and drinks. It’s crazy how much it adds up. I challenged myself to not stop for convenience food anymore and this freed up a chunk of my cash flow every month. Remember, you’re trying to create new habits when budgeting, don’t rush the process. Slowly take out expenses from your budget that you know you won’t miss. By creating new habits you will see long term results, rather than only quick wins. I have created a Google sheet template for you to use in zero based budgeting that has all the math done for you and allows you to track your expenses, you can get it here. 2. Sinking funds to change your finances. Sinking funds might just be my favorite part of budgeting, mostly because I love having the freedom of having cash earmarked for specific things that come up. Sinking funds are when you put aside a bit of money each month to save up for a specific purpose. A classic example is Christmas, it comes every single year, so why not plan for it! In January, you give yourself a Christmas budget for presents of $600 (totally made up number). Then, you divide that number by however many months you have to save that. I’d want this to be fully funded by at least November, so I’d divide $600 by 11 and save $55 each month. Yes, I rounded up, I would rather have more money and an easy amount to take out each month! The great part about this is if you don’t use the entire amount, you can roll it over to next years Christmas fund. I personally use sinking funds for expenses that I don’t know about, but I know will come up. I currently always put aside money for my medical and car sinking funds. The reason I add to these two every single month is because I want to be prepared. I’d hate to be in a position where I need to say no to anything health related for me because of finances. Same thing goes for my car. Some months, I don’t touch either account, other months I use them a ton! Last month, I had a metal tool go into my tire that couldn’t be replaced. They told me it would be $120 for a new tire and I didn’t need to stress about it one bit because I had the cash sitting in my sinking fund. This month I had to see an ENT, allergist and my orthodontist. All completely unexpected and totaling about $145 in copays. If it weren’t for my medical sinking fund, this would have had to come out of my debt pay off for the month. It’s not terrible, but it would slow down my progress. 3. An emergency fund to change your finances. The last and possibly most important thing to do to change your finances is to have an emergency fund. This is for those times that you totally can’t plan for. Everyone has a different idea of an emergency, but because I have sinking funds, my idea of an emergency is more like job loss, or loss of one of my income streams. Emergency funds are going to get you through those expenses that pop up completely unexpected, or in the event of income loss. There is a lot of talk on the Internet about what you should have saved for your emergency fund. It ultimately comes down to what you are comfortable with. I suggest, at the very least to have one month of expenses saved up, and really this should only be if you have a very secure job, consistent pay, no kids, no house. Any other scenario, I would suggest 3-12 months of expenses saved up. This allows you to weather most storms that come your way unexpectedly. When you don’t have enough in savings, it is setting you up for financial ruin in the event of something happening. These 3 things will set you up for success. By having these 3 things in place, you are setting yourself up for long term success. It might not look pretty in the beginning and you might feel overwhelmed, but give yourself time. This isn’t going to happen overnight, but you will see changes happening once you get started. I encourage you to just start, start tracking your expenses and getting a budget set up. See where your money is going and start telling your money what to do instead. I know this can be difficult at first, it’s why I offer email coaching to help you get started and hold you accountable to getting things done. Send me an email, if you want to be added to my email coaching waitlist. Have you set yourself up for success by having these three things done? When it comes to personal finance, it can sometimes feel overwhelming. This is especially true if you don’t know where to start. Trying to tackle your finances in one swoop is bound to lead you to failing. Not because you can’t do it, anyone can do this, but it’s a lot to do in a short period of time. Just like with any big task, it’s good to start small and break it down into more manageable parts. This is exactly what I recommend you do, if you’re just starting out at getting your finances together. There are a couple things that you can easily do in one day to immediately get your finances to a better place. 1. Track your expenses to manage your finances better. The very first and most important thing to do is to start tracking your expenses. If you use any kind of card, you can easily pull your bank statements and look at the previous month to see where your money went. I always suggest printing it out and highlighting for each specific category. For example, groceries, eating out, shopping, personal care. You can really make any categories you want and works for you. No one set of categories works for all and your budget will reflect the things that you value once you cut down on your expenses. If you have always used cash, you can either use your receipts from the last month or start tracking your expenses today. Ideally, you want a month of expenses to get a realistic picture of how much money you spend in a given month. 2. Write out a draft budget to manage your finances. This is going to be life changing for you once you create and execute a budget. Drafting it out for the first time can be overwhelming, but just get it down somewhere. You can do this on paper or on the computer, whatever works best for you. If you subscribe to my newsletter, you’ll get my PDF to help track expenses and budget for free. If you’re more of a computer person, you can purchase my Google sheet templates that have all the formulas in for you already! The important part about your budget in this stage is to just get your income and expenses down on paper. Write out your actual budget, don’t write out the one you want to have. Write out your actual income, write out the actual amount you spent on Chipotle. This will be eye opening and why it’s so important. Once you have a draft of your budget, you can start looking at habits that you have. 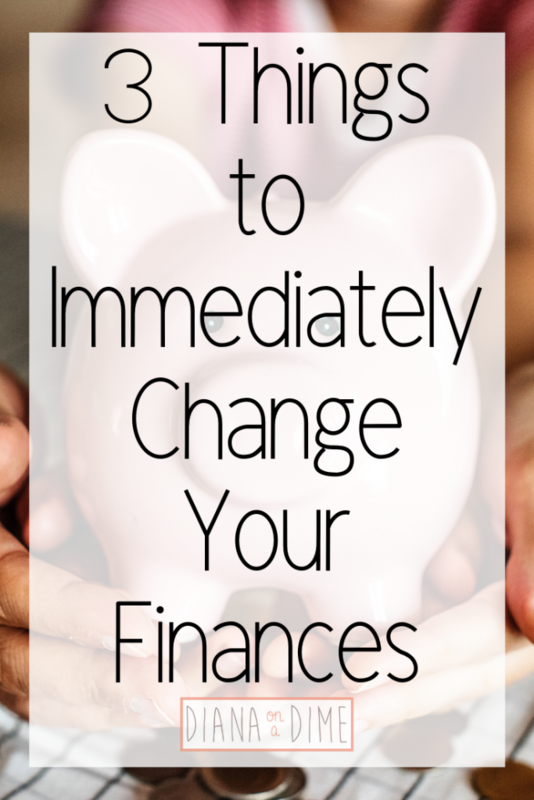 I wouldn’t suggest making any drastic changes, but maybe a few to give you some extra cash flow. Find the things you don’t value as much and cut those first. If you’re a follower of KonMarie, then you’ll get the whole sparking joy thing. Anything that doesn’t spark joy just has to go! If you don’t have an emergency fund, you need to get one set up ASAP! An emergency fund is arguably the most important thing when it comes to managing your finances. Without it, you set yourself up for disaster in the event of the unexpected. I always recommend you to have at least 1 month of expenses saved up at any given time, at a minimum. Once you have a month, I’d switch to focusing on debt, but still contribute to your savings. Personally, I contribute $25-$100 every month depending on where I am in life. Right now, there is a lot of unknowns for me in my future, so I’m contributing more while paying off debt. I recommend having your savings somewhere that is easy to get to, but not too easy. For example, I have an account with an online savings bank called Ally. I prefer it to a regular bank because it earns me more interest and is a little harder to get to. If I’m going to be having money sitting around, I want it to be working for me! I suggest looking into savings accounts today and choosing where you want to keep your emergency fund. Your finances won’t change today, but they can start to change today. Finances are an everyday thing, not just a set it and forget it. You need to actively be doing something for your finances everyday, even if it’s just tracking your expenses or updating your budget. Your finances are a never ending journey, but it’s great to get started on these 3 things today. If you are trying to get your finances together long term, I have the perfect guide to get you started! 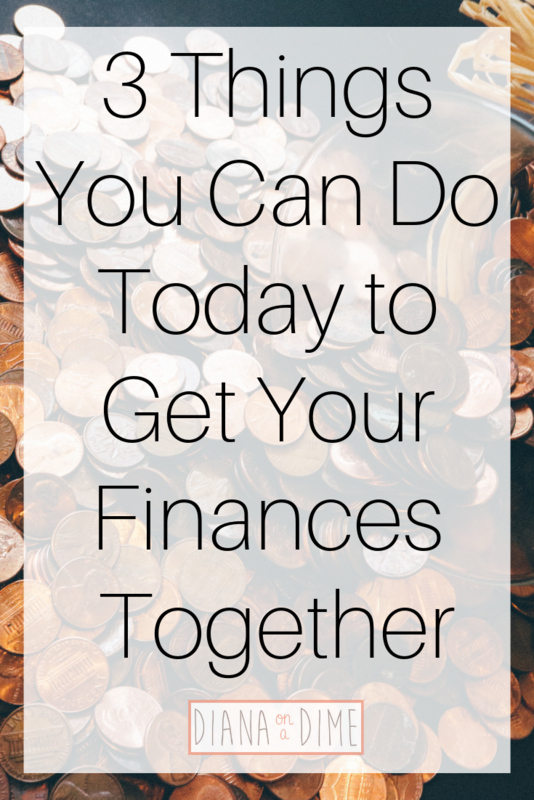 What steps have you taken recently to get your finances together? At the end of the year, it’s natural to reflect on the year that just passed. This can lead to some serious thoughts about the upcoming year and what you hope to accomplish. The thing is, most people fall off from their New Years resolutions by the end of January. It isn’t because they don’t want to reach these goals, but they may not have been realistic or we might not know how to reach them. When we create goals that are unrealistic, they are less likely to get accomplished. 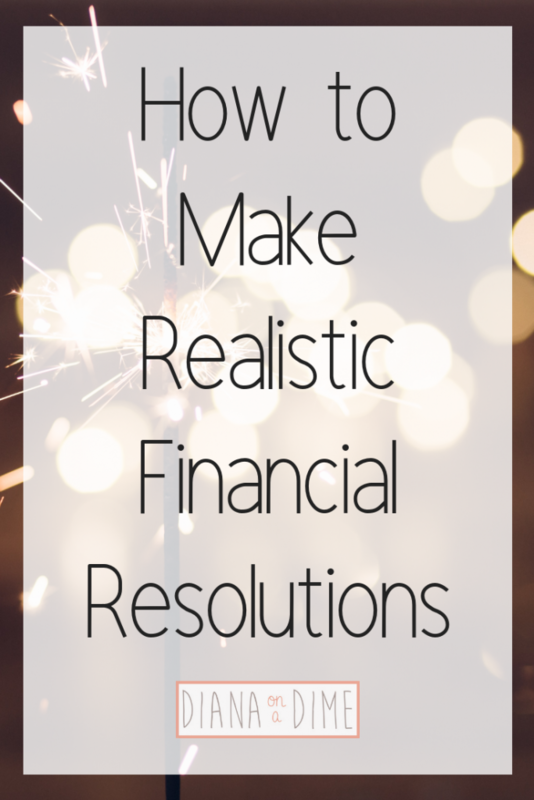 It’s important to create goals and create steps to reach those resolutions. This allows you to set big resolutions for 2019 and actually reach them by the end of the year. Follow along as I map out how I set my New Years resolutions for my finances. It can be easy to jump into writing out resolutions for the new year. It’s exciting and I totally get it! But, if you don’t reflect on the previous year, you are potentially setting yourself up for failure. You need to look back on the previous year and see how you did, where could you have improved, what do you want to focus on in the new year? By taking the time to really look at actual numbers and where you want to be in a years time, it’s easier to create new goals. For example, in the new year, I want to pay off my private loan. I know this is realistic for me because it is the amount I’m able to pay off in a years time in the previous years. Without this information I would be shooting at a goal that might not be realistic for me. Once you have seen everything you accomplished in 2018, it will be easier to create goals for the new year. Keeping in mind what you were able to accomplish in the previous year, create your new resolutions based on what you want to accomplish in a years time. Was there an area that you hope to improve in, in the new year? This might be something you focus on improving. Be specific in your resolutions and what you want to accomplish. Do you want to increase your income, by how much? Do you want to increase your income streams, by how many? Do you want to cut your expenses, by how much? Do you want to increase your savings, by how much? You also need to look at long term goals when creating your resolutions for the new year. Keep in mind your 5 year, 10 year, and so on goals and make sure your goals for the year align with them. 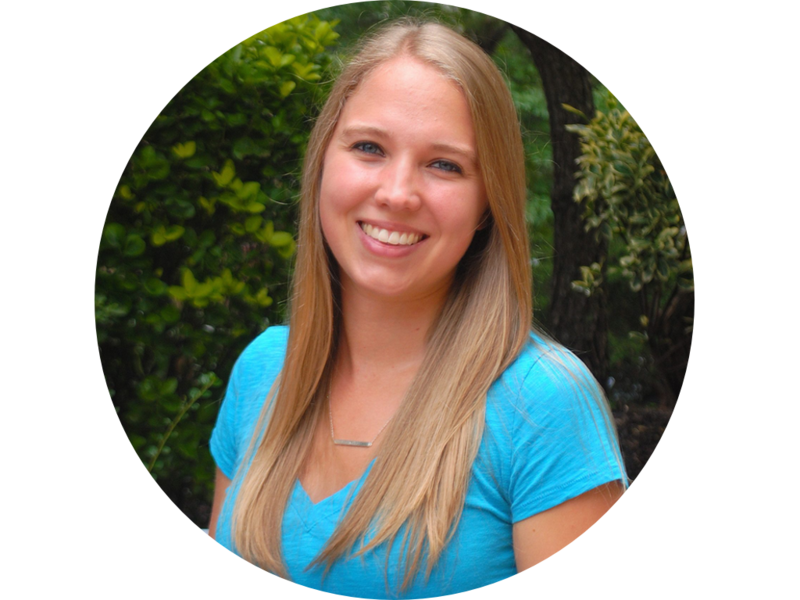 I’m a strong believer in backtracking your goals and your yearly resolutions are no different. I’ll get into this more in the next step though. Once you have your resolutions made, you need to backtrack to smaller goals. What I mean by this is you need to take your year resolution and break it down into 6 month, monthly, and weekly goals. I would recommend doing whatever you think you need to be successful. For me, I know I need monthly and weekly mini resolutions or tasks to make sure I reach my bigger resolution at the end of the year. This would mean breaking down your resolutions into smaller tasks. For example, if you want to put the max yearly amount into your IRA, take the yearly amount and divide it by 12, then create an automatic transaction to happen every month to reach this goal effortlessly by the end of the year. This strategy can be applied to any resolution you have. Just create smaller tasks and goals to reach every month to make sure you are successful by the end of the year. For me, I need visuals to see how far I’ve come from the beginning. Otherwise I get really down when things aren’t moving like I want them to. By having a space to see my progress, it gives me the motivation I need to keep at my resolutions. This needs to be personal for you, some people might be motivated simply by an Excel spreadsheet, others might be by pictures to color in. Figure out what works for you and create it to rock your resolutions! The key to reaching resolutions is to constantly be reflecting on your journey to reaching them. If you find yourself getting off track, maybe create a weekly goal that will help you reach your monthly goals. Sometimes resolutions can get overwhelming, but when they are broken into small, weekly tasks, they are more manageable.